Part of International Polar Year, the Strapolété project will provide valuable data on the Arctic stratosphere in summer to further our understanding of ozone-climate interaction. 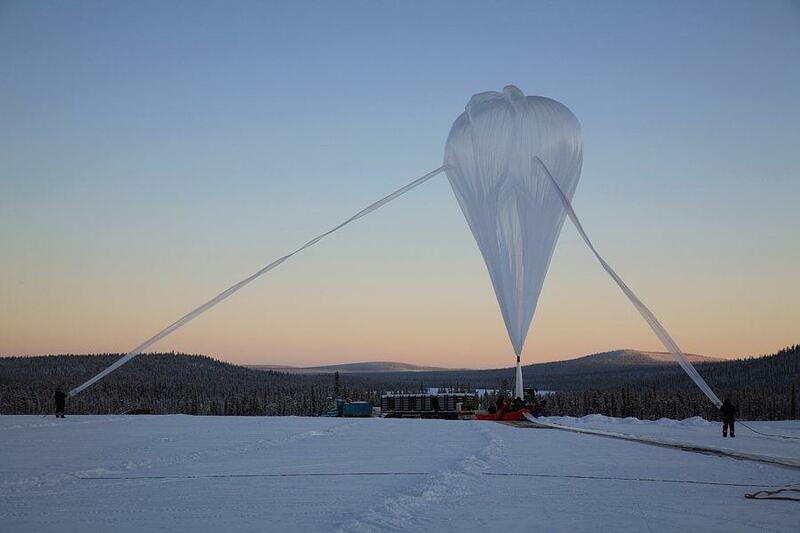 The project is based on the deployment of CNES balloons and is being conducted in Kiruna, Sweden. Stratospheric balloons are not like the helium-filled balloons on sale at fairgrounds. They work on the same principle (the Archimedes principle of buoyancy) but contain several hundred thousand cubic metres of helium or hydrogen. Their purpose is to carry scientific instruments weighing several hundred kilograms into the stratosphere (the layer of the atmosphere between 12 and 40 km above Earth’s surface) for periods of several hours at a time. These instruments collect in-situ data on numerous chemical species and aerosol content. The Strapolété campaign got underway in Kiruna on 20 July. It will provide a better understanding of depletion processes in the ozone layer at the North Pole as well as ozone-climate interaction. CNES is coordinating the operation with various partners* and will also use this latest campaign to further improve its aerostats. Preparation of the flight train for the first balloon in the Strapolété campaign, Kiruna (Aug. 09). Credits: CNES. As regards the scientific campaign, seven balloon releases are scheduled. The scientific instruments comprise spectrometers, an interferometer, radiometer, hygrometer and aerosol counters. The purpose is to characterize polar stratospheric ozone, largely unexplored in the summer months. Assembly of the valve on the upper apex of a balloon envelope in Kiruna (Aug. 09). Credits: CNES. By last week, balloon preparations were ahead of schedule. The first release, initially scheduled for Monday 3 August, was successfully conducted the day before. The balloon gondola is carrying the ELHYSA hygrometer. The six other scientific flights - SPIRALE, SWIR, SALOMON-N2, Micro-RADIBAL, SPIRALE 2 and DOAS-LPMA - are scheduled at intervals throughout the month. *LPC2E environmental and space physics and chemistry laboratory in Orléans, LPMAA molecular physics laboratory for the atmosphere and astrophysics in Paris, LOA atmospheric optics laboratory in Lille, LATMOS atmosphere, environment and space observation laboratory in St-Quentin-en-Yvelines, Heidelberg University in Germany and the Norwegian Institute for Air Research (NILU).